The following applies to united Kingdom requirements. Always check your local requirements with your local authority and regulator as appropriate. These regulations are subject to constant change. No responsibility is accepted for the correctness of this information. Always check with the source documents before taking any action. Planning consent is likely to be required for all anaerobic digestion plant installations, and it is advisable to consult with your local planning department at an early stage. The Town and Country Planning Regulations will apply much as they would for any industrial plant. The Centralised Anaerobic Digestion (CAD) plant applications being for larger sized installations than On-farm Plants, will have to provide more detailed information than will be required for smaller on-farm plant applications. The applicant will be required to provide detailed justification that community (centralised) anaerobic digestion schemes are suitable for the proposed location, with impact assessment information based upon a detailed understanding of the controls on emissions which will be provided for the plant. The Local Authority Planning Department will determine the application and consultation with local residents and neighbours with education and awareness aimed at planning officers and locals can be highly beneficial. The Kelly Review has been examining the case for making the planning system more effective towards delivery of expansion the nation’s waste management facilities. It is not known at the time of writing what the outcome of this review will be. However, unless and until there are changes, the requirements should be considered to be onerous for Anaerobic digestion plant applicants. Centralised anaerobic digestion schemes are subject to the EU Pollution Prevention and Control (PPC) Regulations. This was originally known as PPC permitting, or IPPC permitting. In addition, in some circumstances Waste Management Licences have also historically also applied to Anaerobic Digesters. To simplify environmental regulation the Environment Agency, England and Wales, now regulates both sets of Regulations under the “Environmental Permitting” system. Those applying for an Environmental Permit will, once successful, be in possession of a “permit to operate” which will cover all the separate primary instruments which apply. Within the permit, the regulator (EA) will set a number of operational conditions. These conditions will be based on the use of Best Available Techniques, referred to usually as just “BAT”. provide continuous improvement as the available technology improves with time. 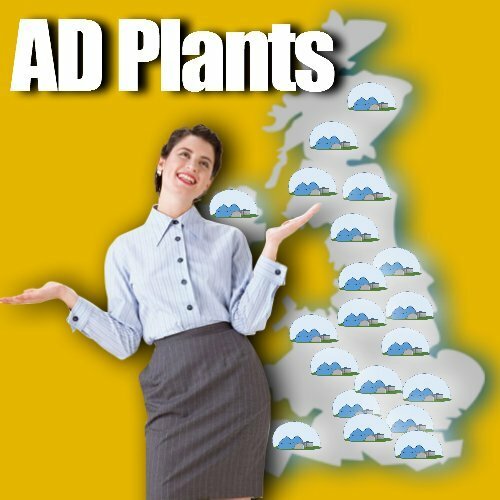 AD plant technologies are normally seen as BAT complaint processes, however each plant will need to be judged individually and within the setting of the local environmental conditions. The EU Animal By-Products Regulations (ABPR) have strengthened the regulations that govern the processing and disposal of animal by-products. These ABP regulations require the processing of all food wastes to strict requirements designed to prevent future spread of infections which might otherwise survive waste processing methods such as Anaerobic Digestion to threaten re-infection of more livestock. There will be strong points to make in favour of anaerobic biological treatment schemes which are well suited to the required degree of pasteurisation required of all the material processed. Time and minimum temperature and residence time at the required elevated temperature. Two stage process – under certain conditions. The Regulation EC 1774/2002 (the ‘EU Animal By-Products Regulation’) has applied since 1 May 2003. Specifically the ABPR permits AD plants to treat food/catering waste as well as low risk animal by-products as long as they are subjected to an elevated temperature of at least 70°C for 1 hour in a closed system. Anaerobic digestion in the UK, has been growing rapidly since the middle of the 2010s, and a highly diverse set of project drivers has created a number of specific markets, in which the following objectives have been identified. The following list of Anaerobic Treatment objectives is not necessarily comprehensive, and will may be extended further by next time you visit. I am still rather doubtful that biogas is a long term bonus for our business. But, I really like and appreciate your article post. I did only stumble upon this, but I’ve found it positively helpful and it has aided me in assessing farm business for suitability. Of course, there is a whole new layer of regs. not mentioned here, which are the requirements for receiving payments of the various government incentives. No worry, this internet info still does a great job.